When it comes to headshot photography, getting a professional on the job is the only way to proceed. With a top-quality imagery, you can reap the benefits of a professional headshot. Being in the business for over 17 years has provided me with ample opportunities of professional headshot photography in New Jersey. With the combined efforts of our team at ISA AYDIN Photography, we’ve worked with thousands of clients and helped them grow their business prospects. When it comes to headshot photography, getting a professional on the job is the only way to proceed. With a top-quality images, you can reap the benefits of a professional headshot. Being in the business for over 17 years has provided me with ample opportunities of professional headshot photography in New Jersey. With the combined efforts of our team at ISA AYDIN Photography, we’ve worked with thousands of clients and helped them grow their business prospects. When you want to avail the best opportunities for your business, a professional headshot photograph can go a long way. It is the quality and style of the headshot that can help you convey a silent message. The simple photograph can say a lot about your personality and even give a glimpse of your business ethics. Hard to believe that a simple photograph can help you gauge so much? That’s because a professional headshot photographer has the necessary skills for a high-quality product. With the right tools and proper techniques, the photographer can provide you with the photograph that works as a branding tool for your business. Market survey has proven that 82% of customers tend to trust companies that have an active social media presence. This means that when founders and managerial personnel engage on social media platforms, they have the power to attract customers. And with a professional headshot photograph to increase the effectiveness of their profiles, they have a better chance of promoting the business. So these professional headshot photographs can be used in a number of ways. The platforms that these photographs are advertised on are made up of a diverse group of individuals. Your business social media accounts might have different audiences. These accounts might have different subjects and with a multitude of media outlets, your headshot photograph might also be used to convey different messages. There are various ways you can use your headshot photograph and some of them are given below. Professional business headshots have what it takes to show the different sides of your personality. An experienced headshot photographer in New Jersey would be able to help you convey the right message. There’s a whole list of benefits associated with a professional headshot. If you truly want to take your business to new heights, a professional headshot can take you far. Since executive headshots are an asset to both the individual and their company, it can make often be the difference between availing opportunities or missing them. Here are some of the benefits of getting professional headshot photographs in New Jersey. By asserting authority you can get the customers your business expansion requires. Many of our clients come to us with this issue. They have the perfect social media profiles and have a great portfolio and yet still they can’t garner the attention they want for their business. And the answer lies in their unprofessional photos. They are the main reason customers can’t seem to connect with the business. It is the lack of executive headshots that make the companies lose business. When a business has social presence the eyes of customers are always at them. And without a professional front and business headshots, you might never be able to attract the customers that make up your niche. So if you aim to get respect and attention that your brand requires, only the best business headshots would be able to help you out. There’s a strong belief that people do business with individuals and not the company. It is the representatives of the company that bring in business, through their business headshots. If these people are poor at presentation, chances are that customers will take their business elsewhere. Even when you have great business ethics, poor presentation and lack of executive headshot photographs can make you lose some valued customers. With a quality headshot in the picture, you can convey a strong message to your clients. This simple addition can help increase the perceived value of your business, and help build rapport with clients. 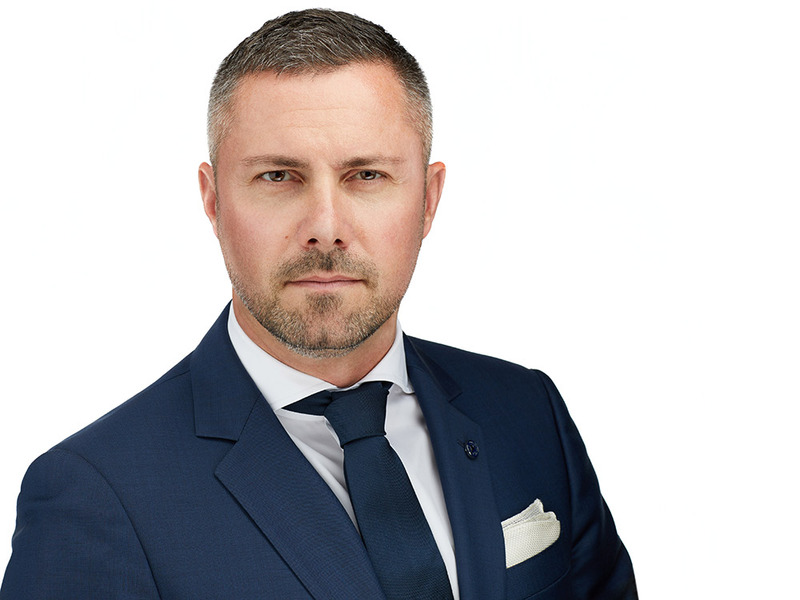 That perfect expression which exudes your personality through a perfect executive headshot photograph is the resource that can help you attract the right kind of clients for your business. Being the front-person of a business means you are the marketing tool of your brand. Even though it is the technological era and we communicate with each other via devices, it is the human interaction that actually engages us. And this is the best way to stand out among the crowd. It is the power of a professional headshot photography that can help showcase you at your best. This can help you get the competitive advantage that you have been waiting for. So when you have branding on your mind, make sure you use executive headshots as the powerful tool they are. By adding a personal touch to your website, you can make sure that customers can connect with you and the business. What your customers want is a face that they can associate with the business. They would want to see the person they would be doing business with. With the help of a professional headshot photographer in New Jersey, you can transform your business into something more than a faceless entity. Make your business seem more human by adding this personal touch. In the sea of corporate personnel, there has to be a way to stand out. Customers need a familiar face they can trust with their problems and they will definitely buy from the people they like. In order to trigger the best response from people, you have to use the effective lure of business headshots. A headshot that can instill trust in customers isn’t an impossible thing but it is the start of a long-term relationship with your customers. Anyone with a camera can take a photograph. All you have to do is click a button and hey presto! But when a professional headshot photographer comes in the picture, things can take a turn for the better. Expensive equipment doesn’t guarantee a great photograph, it is the people behind the camera that can make the magic happen. It is the expertise of a headshot photographer in New Jersey that can get you the perfect photograph. The way they position you, the way they adjust and place the lighting, the way they can evoke the right expressions are what makes them the best at their job. They have the right tools to make you look approachable, a trustworthy person and yet professional too. They realize the importance of the warm, spontaneous expressions that can bring forth your true personality. The personality that attracts clients to your business. This is your chance to make a great first impression and since this is a silent role, you’d have to let your headshot photograph do the job for you. Just follow their instructions and let them lead you with their experience. When you’re aiming to evoke trust in your audience, you’d have to start by trusting your headshot photographer in New Jersey. Attracting the right customers isn’t the only goal for a business. Customer retention is also an important aspect of business. So when building long-term relationships is your ultimate goal, a professional headshot photograph is the need of the hour. It is this picture that comes to the mind of your customers whenever they think about the services your business offer. You are the representative of your business and hence you need to portray the business in the best way you can. Remarkable executive headshots have the power to grab your customers’ attention from the first moment. By hiring the right professional headshot photographer in New Jersey, you can make sure your picture is the first thing that customers can associate with the business. Your professional picture can help mask the lure of competitors and ensure that your customers don’t switch. With a plethora of reasons to get your headshot photograph, you must now know the importance of hiring a professional. Without business headshots, customers would have a hard time warming up to people. And without the right picture to represent you, the level of confidence you have can also alleviate. Amateur photographers won’t be able to help you evoke trust in your customers and so it wouldn’t fare well for your business either. If you need to maintain professional standards for you business, you better contact ISA AYDIN Photography for the best headshot photography experience. Now that you have finally decided to go for the professional headshot photograph, you need to know what to expect from a professional photography session. A headshot photography session isn’t something to worry about. In the hands of a professional headshot photographer, you can get the best results. Professional photographers tend to have a number of techniques up their sleeves. This makes each photographer different from the next. Their level of expertise and years in the trade also play an important role in shaping their individual style. Their shooting and editing style can have a great impact on the result of your headshot photograph. There are headshot photographers who have been in the business for a few years and already have mastered the art. So the best way to determine the perfectly suited headshot photographer for you, you need to take a look at their portfolio. Their collection of previous works can help you gauge their level of expertise. Once you’ve decided on a professional headshot photographer in New Jersey, you need to get ready for the appointment. The first thing to decide on is the dressing. In a professional headshot photograph even your clothing is a form of expression. The right dressing can help you set the right tone and reflect your personality in the best way possible. An important tip to remember, simpler is better. You might want to go for solid colors as they look best for business headshots. Even if you are opting for a patterned dress make sure it’s not too elaborate. If your headshot photography package allows for outfit change, start off with a simple shirt and then add the layers that can make you stand out. For this step make sure you bring a change of clothes to the studio. Ensure your clothes are wrinkle free as retouchers can have a difficult time with wrinkles. You can relax with the shoes and wear anything that’s comfortable since it’s just a headshot. For an immaculate look, it’s better to hire a professional hair stylist. If not, then make sure you style your hair the best way. A hair style that makes you look approachable should be your ultimate aim. Keep a few hair styling products on hand to take care of any ruffled hair. You wouldn’t want your business headshot photograph to be ruined by a strand of fly-aways. You should refrain from putting on too much makeup. A natural look can add more emotion to the picture. Bring some cosmetics with you so you can add some during the shoot. It’s better not to go for any extreme beauty treatments right before your appointment. You might also want to get rid of any visible unwanted hair before you go in for your business headshot photography appointment. If you want an immaculate look for your shoot this is a necessary step. However, your choices are always respected. It is better that men shave right before they leave for the shoot. It will give you the chance to look your absolute best for your business headshot photography session in New Jersey. Now that you know all about what to expect during your headshot photo shoot, it’s time you get a chance to go through some dos and don’ts of the session. Corporate headshots are a serious business and that’s why it’s important to follow every direction of the photographer. When you hire a professional to do the job for you, you’d get the best results. But these results also matter on your ability to follow the photographer’s instructions. With a list of do’s and don’ts, you’d be able to get the best business headshots to attract, retain and establish long-lasting business relationships with people. When you want a polished executive headshot photograph, you need to keep these things in mind. These simple tips will help you create the perfect impression. It’s best to schedule the business headshot photography session over the weekend. What matters most is your peace of mind. When you’re feeling at your best, you wouldn’t have to fake any smiles. Try to avoid going for the photo shoot on a bad day. The stress of your day would be plain for everyone to see and it might ruin your executive headshot. Be authentic. When you’re overly enthusiastic it will be evident in your pictures and that’s not something you’d want for your business headshots. You might not agree with the photographer’s suggestion but since they have worked in the industry they have the right perspective. Even if you don’t agree with them go along and you can decide once the final result is in front of you. Trust the experience and expertise of the photographer and follow their directions properly. You’d besurprised at how amazing your business headshots turn out to be. Although using makeup is recommended make sure you don’t go overboard. Trying to hide every wrinkle or fine line wouldn’t give you the flawless look you’ve been aiming for. Instead it will give your photos an artificial touch. So refrain from heavy makeup. There’s no doubt that you’d want your executive headshot photograph to portray you as a powerful individual. Don’t go for that overbearing powerful look. You’d want to look confident and approachable. Try and be comfortable with your personality and make sure it reflects in your expressions. If you have opted for an experienced headshot photographer in New Jersey, you have nothing to worry about. They have the expertise to evoke the right emotions and expressions. Say no to too many accessories. They can be a distraction in your business headshot and might appear to be a compensation for something else. These simple tips will help you get the best of your business headshot photography session. Follow these do’s and don’ts for the best professional headshot photographs. It’s the simple things that can make huge differences. As long as you follow your executive headshot photographer’s advice you’d do great. So take your business to new heights of success and connect with your audience in the most powerful way. Don’t hesitate to contact ISA AYDIN Photography today and set an appointment for your business headshot photography session. Short Description: When it comes to headshot photography, getting a professional on the job is the only way to proceed. With a top-quality imagery, you can reap the benefits of a professional headshot. Being in the business for over 17 years has provided me with ample opportunities of professional headshot photography in New Jersey. With the combined efforts of our team at ISA AYDIN Photography, we’ve worked with thousands of clients and helped them grow their business prospects.